Take one oven proof plate. Arrange tomatoes, onions, garlic and pour 1 tablespoon olive oil and mix well. Roast for 15 minutes at 180 c in preheated oven. Let it cool down. Blend well together and make smooth paste. Heat 1 tablespoon olive oil, add roasted tomato paste, and cook for 5 to 6 minutes. Add 3 tablespoons tomatoes catch up, 3 tablespoons sweet chilly tomato sauce, Italian seasoning, salt and mix well. 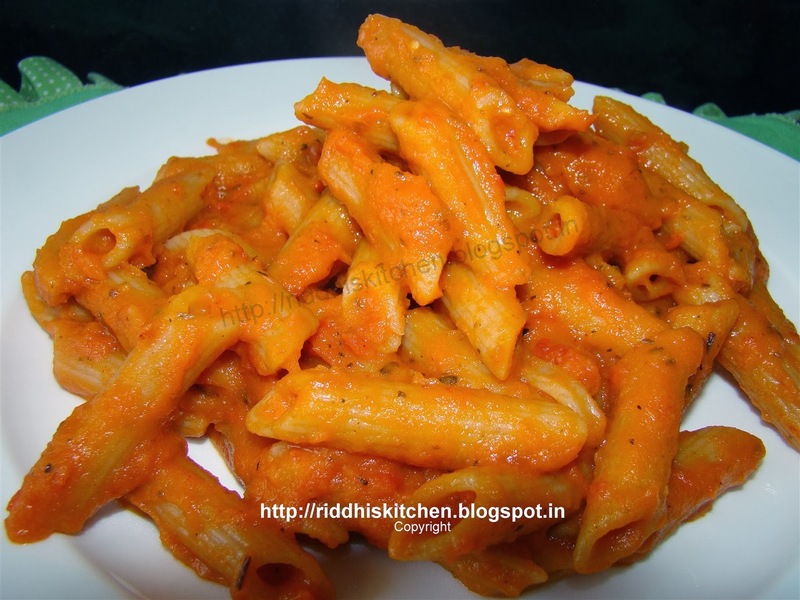 Add boiled penne pasta, mix well cook for 2 to 3 minutes. Tip: I made this penne pasta healthy way. You can add cheese as per your taste.